Luxury Yacht Charters provides a unique Lake Norman experience to those seeking the very finest. 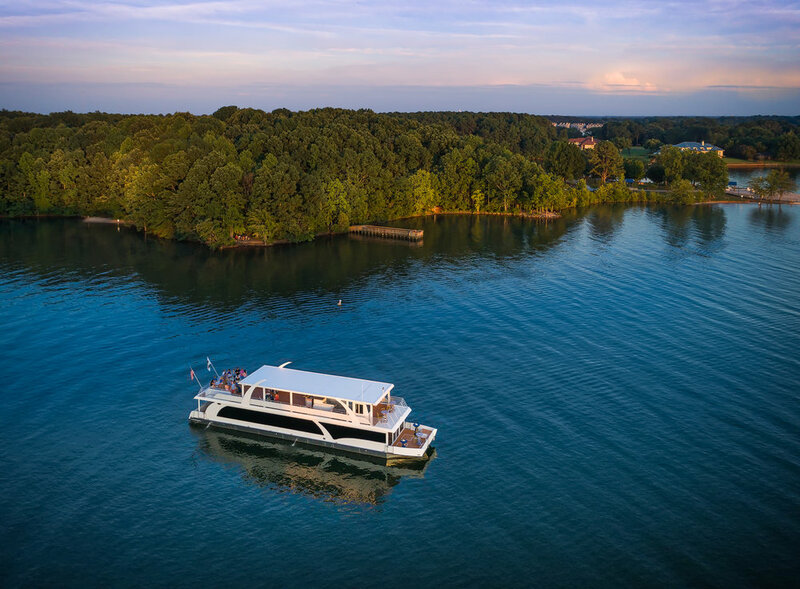 Our beautiful 100-foot luxury yacht is the largest in the Carolinas, providing the perfect venue for weddings, corporate events, and celebrations of all kinds. We can accommodate groups from 10 up to 120 guests, and with our heated upper deck, we are perfectly suited for rental year-round, seven days a week. After 13 years of providing our community with the most unique and beautiful venue that Lake Norman has to offer, we want to give back in a larger role than ever before! We created our own charitable organization in order to love and give back to our community. 10% of all private yacht cruises through Luxury Yacht Charters is being donated to this 501-(C)(3)! Your rental will help numerous local organizations raise money for the many amazing causes!